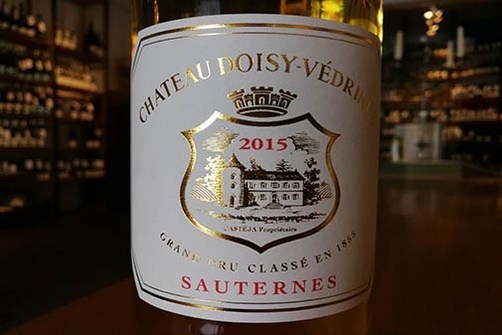 Wine Spectator 93-96: "A plumper, richer style than most Barsacs, with almond cream, ginger and hazelnut accents starting to develop alongside the orange, apricot and peach flavors. Offers a lovely feel." -- J.M. René Gabriel 18/20: "Aufhellendes Gelb. grünliche Schimmer. Intensives Bouquet, frisch gekochte Birnen, eine fein würzige Kiefernote zeigend, alles mit gut integrierter Botrytis. Eleganter Gaumenfluss. Schön integrierte Säure, er hat viel Druck im Finale. Keine Exotik aber auch nichts Unterreifes, also ein klassischer, sehr gut gelungener «A Point-Barsac»." 2020-2055. Wine Enthusiast 94: "This is a fragrant, fruity wine. It has dried apricot and bitter orange flavors along with plenty of acidity. The texture is tangy, hinting at minerality, while the aftertaste is what brings out the sweetness and final richness of the wine."